Virginia Pless Remenar died on January 20th 2019 at the age of 99, peacefully in her home. She was born on May 15, 1919 in Canton, North Carolina. She was the third child of John Wesley and Melissa Proffitt Pless. In addition to her parents, she was preceded in death by her sister, Johnnie Pless Teague and two brothers, Clarence P. Pless and John E. Pless. She was graduated from Canton High School and attended Blanton's Business College. She believed with all her heart that the Good Lord guided her in her journey through life. She enjoyed office work, starting at Youth Summer Session at Lake Junaluska, North Carolina, followed by the U.S. Naval Air Station in Vero Beach, Florida (where she met her husband), Merck & Company in Rahway, New Jersey, and the VA Hospital in Lyons, New Jersey. She and her husband John moved to Western North Carolina in 1948. She was a stay-at-home mom to her son and two daughters. 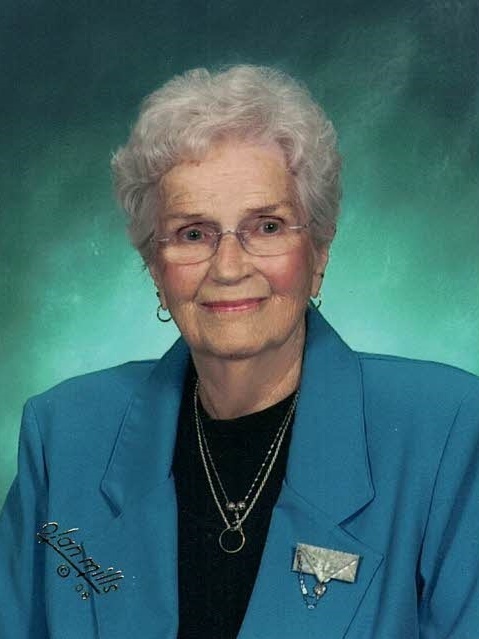 After they left the nest, she was the secretary at the Westminster Presbyterian Church for 10 years, and later she was a part-time secretary at Groce United Methodist Church, of which she was a member for over 50 years. She was married to John George Remenar (the nicest man in the whole world) for almost 61 years at the time of his death in 2004. She was also preceded in death by her daughter, Dona Remenar Hensley in 2006 and her son David John Remenar in 2011. She is survived by her daughter, Dina Remenar, grandchildren David R. Greene and Virginia M. Greene, with whom she made her home; daughter-in-law, Barbara Remenar; grandson, Scott Remenar (Amy); great-grandson, Ryder; great granddaughter, Rylee; and granddaughter, Shellie Remenar, who all reside in California; son-in-law, William Hensley; granddaughter, April Lanning; great granddaughter, Megan; and granddaughter, Emily Smith (Jamie), all of Hendersonville. She is also survived by many loving nieces and nephews. She was a member of The Order of the Eastern Star, where she held both local and state offices. She was a breast cancer survivor twice, in 1981 and 1996. A graveside service will be held at 1pm, Wednesday, January 23, 2019 at Lewis Memorial Park on Beaverdam Road, Asheville. The Rev. William Snyder will be officiating. In lieu of flowers, a loving memorial may be made to the CarePartners Hospice in memory of Virginia Remenar at 68 Sweeten Creek Road #A, Asheville, NC 28805. Penland Family Funeral Home is honored to be caring for the Remenar Family.